Maple Leaf Square is a vibrant global entertainment destination and financial district located in North America's fourth-largest city. It is the epicentre of Toronto's sports and entertainment district and a destination for fans and concert-goers from the Greater Toronto Area and beyond. Maple Leaf Square shares its footprint with Air Canada Centre, home of the Toronto Maple Leafs, Toronto Raptors and Live Events, the pillars of this vertical village. Connected to the city's transit system and an underground 27-kilometre network of shopping, service and dining outlets, Maple Leaf Square is a touchstone linking visitors and residents to Toronto's vast cultural tapestry. For residents of the condominums and guests of the exclusive hotel, Maple Leaf Square is home, but it also a magnet for fans and visitors drawan by its unique combination of excitement, amenities and ambiance. The 54 & 50 Storey Maple Leaf Square Condos are two of Toronto's most prestigious and highly sought after Residences with unbelievable views, finishings and amenities. Direct access to Union Station and underground path. 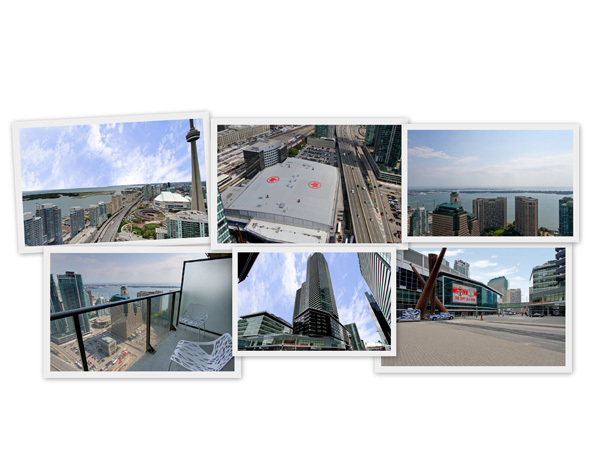 For a list of all condos currently available for sale in Maple Leaf Square, please fill out the form on this page.